No casualties have been reported in the accident so far. 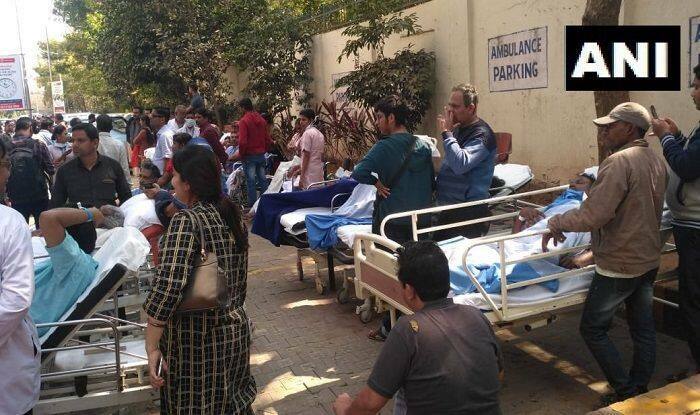 Bhubaneshwar: Three fire tenders rushed to Apollo Hospital in Bhubaneswar and doused the fire that broke out earlier on Saturday, reported news agency ANI. No casualties have been reported in the accident so far. As per reports, the fire broke out in the battery room of the hospital which is located close to the Intensive Care Unit (ICU). Immediately after the incident, the patients in the ward were shifted by the hospital authorities immediately to avoid any untoward incident. The fire accident disrupted the electricity supply at the hospital. Thereafter, certain critically ill patients were shifted to other hospitals in the city. The source of the fire accident has not been ascertained yet. Reports claimed that the fire brigade team was called after hospital authorities detected fire in the hospital. Meanwhile, a minor fire broke out near the rest room in Bhubaneswar Railway Station premises on February 1. Authorities of East Coast Railway (ECoR) have ordered a fact-finding inquiry to ascertain the exact cause of the incident. According to the railway officials, no loss of life and property was detected. The incident took place at around 8.30 AM. Senior officers from East Coast Railway Headquarters and from Khurda Road rushed to Bhubaneswar Railway Station to take stock of the situation. The fire was doused by personnel of Odisha Fire Service.